Bloods sampled from both femoral vein and SVC-sited catheters in critically ill patients showed good correlation in lactate levels but the oxygen saturation was not so reliable, with >5% variation in more than 50% and >15% variation in some patients. The authors suggest one reason is that the femoral catheter tip usually sits in the iliac vein and samples blood prior to the mixing of blood returning from intra-abdominal organs. They advise caution in using SfvO2 to guide resuscitation when narrow end points are used, as this may lead to inappropriate vasoactive drug or blood component therapy. For life-threatening hypoxaemia, initial management with a recruitment manoeuvre and/or high PEEP should be undertaken if plateau airway pressures and lack of barotrauma allow. If not, or if these are not effective, then proceed to the prone position or HFOV. If hypoxemia still persists, then consider the administration of inhaled NO. If NO fails, then glucocorticoids can then be administered. For elevated plateau airway pressures when tidal volumes are 4 mL/kg, consider prone positioning or HFOV. 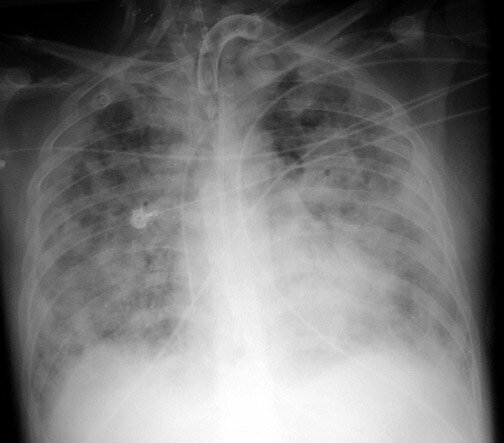 For life- threatening respiratory acidosis, consider the use of a buffer or continuous veno-venous hemofiltration. It is most important to assess for objective physiologic improvement in the appropriate time period for each intervention. If no benefit is evident, then the therapy should be discontinued to minimise harm and delay in the initiation of another therapy. If the patient continues to have life-threatening hypoxemia, acidosis, or elevated plateau airway pressures, then consider ECMO or extracorporeal carbon dioxide removal. When might you suspect a brain tumour in a child who presents with, say, nausea and vomiting, or behavioural disturbance? A guideline has been produced which might prompt one to think of this important but often delayed diagnosis. An Iranian study showed 10% of afebrile well appearing infants had petechiae and they remained well on follow up. This is in keeping with previous studies on both afebrile and well-appearing febrile infants. Using a 2Mhz transducer insonating through the temporal acoustic bone window, Italian physicians detected the expansion of an extradural haematoma. In their discussion they highlight that transcranial sonography of brain parenchyma in adults has been proposed by several authors for the evaluation of the ventricular system, monitoring of midline shift, diagnosis and follow-up of intracranial mass lesions. In one study, of 151 patients, 133 (88%) had a sufficient acoustic bone window. Note that the skull contralateral to the acoustic bone window is visualised. The College of Emergency Medicine (UK) has updated its guideline on ketamine sedation in children. Before ketamine is used all other options should be fully considered, including analgesia, reassurance, distraction, entonox, intranasal diamorphine, etc. The doses advised for analgesic sedation are designed to leave the patient capable of protecting their airway. There is a significant risk of a failure of sedation if the procedure is prolonged, and the clinician must recognise that the option of general anaesthesia may be preferred in these circumstances. There is no evidence that complications are reduced if the child is fasted, however traditional anaesthetic practice favours a period of fasting prior to any sedative procedure. The fasting state of the child should be considered in relation to the urgency of the procedure, but recent food intake should not be considered as an absolute contraindication to ketamine use. Ketamine should be only used by clinicians experienced in its use and capable of managing any complications, particularly airway obstruction, apnoea and laryngospasm. The doctor managing the ketamine sedation and airway should be suitably trained and experienced in ketamine use, with a full range of advanced airway skills. At least three staff are required: a doctor to manage the sedation and airway, a clinician to perform the procedure and an experienced nurse to monitor and support the patient, family and clinical staff. Observations should be regularly taken and recorded. The child should be managed in a high dependency or resuscitation area with immediate access to full resuscitation facilities. Monitoring should include ECG, blood pressure, respiration and pulse oximetry. Supplemental oxygen should be given and suction must be available. After the procedure the child should recover in a quiet, observed and monitored area under the continuous observation of a trained member of staff. Recovery should be complete between 60 and 120 minutes, depending on the dose and route used. There should be a documentation and audit system in place within a system of clinical governance. The old idea of three-sided taping of an occlusive dressing to treat open / sucking chest wounds has been replaced with just closing the hole with an occlusive dressing and treating any tension pneumothorax. If you don’t have an alternative then you can use an adhesive defibrillator pad to achieve this. The brave men and women of the military not only risk their lives for us – they also provide a wealth of trauma experience and publish interesting stuff. Quikclot Combat Gauze as the haemostatic agent which has replaced Quikclot powder and HemCon. This preference is based on field experience that powder and granular agents do not work well in wounds in which the bleeding vessel is at the bottom of a narrow wound tract or in windy environments. WoundStat was a backup agent but this has been removed because of concerns over possible embolic and thrombotic complications.